Just one look at the socks in this twin pack of Mens and Ladies Puma PowerCELL Performance and Mid-Weight Quarter Running Socks tells you that they are no ordinary sports socks. These advanced mid-weight running socks are part of Puma’s CELL system, with PowerCELL designed to offer supportive compression and zonal cushioning, with left/right anti-blister shaping, seam free toes and microfibre moisture control. 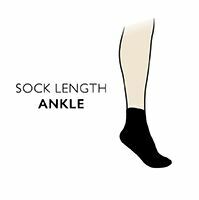 The socks are also antibacterial for fresher feet and even incorporate reflective thread strips at the ankle for runner safety in low light conditions.